I’m really surprised I haven’t written about this yet. 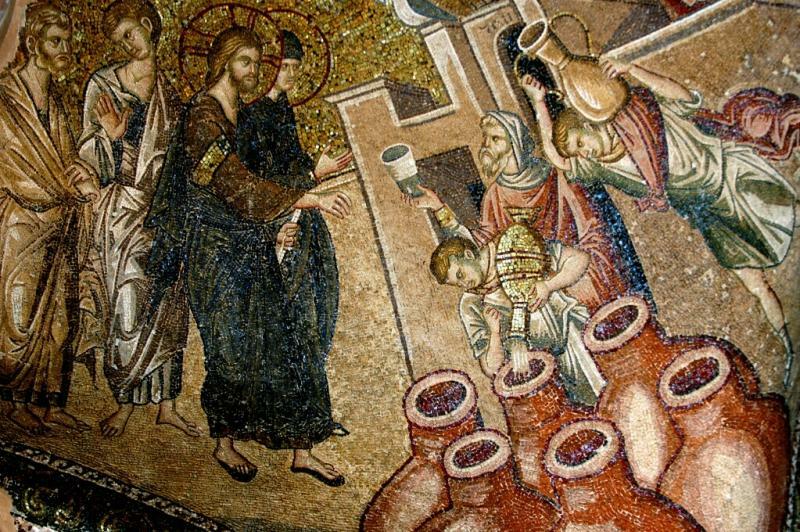 Jesus turning water into wine, known as one of his first miracles, is such a wonderful allegory for us all to learn from. As you know by now, nothing is ever as it seems in scripture. Nothing is ever so cut and dry that upon one simple read of a passage, or a story, you can receive the full depth of what it is written. The reason is simple, scripture is NOT meant to be taken literally. As Paul states, “The Letter (literal interpretation) kills (makes you ignorant)”, he goes on to say, “The Spirit gives Life (Wisdom)”. You could say it is the “spirit of the story” that gives us life (wisdom). So too, in the story of the Marriage in Cana, there is a deeper meaning to what we read. The first obvious mystery that we are allowed to decode is what the word “MARRIAGE” means, symbolically. When you marry someone, you are vowing that you will be faithful, you are stating that you will stay together and never break apart, your decisions will now become based on what is best for both Husband and Wife, you most likely will try to have children. There is much indeed a “Marriage” symbolically means. But what does scripture say “specifically” about Marriage? One parable in scripture stands out, and that is “Marriage” being used to describe a King’s “arranged” marriage for his child. Notice, the Kingdom of Heaven is not described as a marriage of choice, but a Marriage that the King decides. Now that is of great importance. Because the “King” in this story represents God. But that isn’t the most important thing we are to take away from this parable. It is the fact that those who were invited to this “Wedding” refused to come and be apart of it. So the King tells his servants to go out and tell the people again, everything that he has set up for them. A feast! But still they didn’t take this invitation seriously. So when the servant came back, the King said, go then out into the streets and invite any and all of those you can find. Notice both bad and good were invited? You see no one is left out. But those who come without wedding garments are bound and cast out… A great symbol of the religious leaders that were trying to discredit Jesus at the time, and those who try to discredit those who bring the truth today. Now we have to remember what the author of this parable means, when referring to the “Kingdom of Heaven”. It is not some wonderful pearly city in the sky. In fact it couldn’t be at all, according to scripture. The Kingdom of heaven is WITHIN! And what is this “Kingdom” after all? As you can see it is not a place of eternal partying as many religious leaders have taught. It is peace, joy, righteousness, and all of it is found within! In fact the word “kingdom” doesn’t literally mean Kingdom the way we think of a Kingdom. The word, would better be translated as “Reign or Rule”… Meaning the RULE of God (Love) is within us, and it is Righteousness, Peace, and Joy in the Holy Ghost. And no one can enter the RULE of GOD without doing the will of God. Which makes complete sense if you think of it. You can’t be ruled by God, until you are Ruled by God(LOVE). And what is the Father’s will, according to the Marriage Parable? … For us all To be apart of that pre-arranged union of Husband and Wife. So who is this Husband and Wife that become “one Flesh, one mind, and one accord”? The Husband is CHRIST. Which makes you and me, the WIFE. The Husband is the Power and Wisdom of God, and the Wife is “our sense of being”. At the marriage, which is pre-ordained, the two become ONE! This is what the Marriage in Cana is all about. It is about this wonderful union, it is about the resurrection of our true identity which we can only find in Christ. It is at this Marriage, that we are no longer known by our “maiden” names, we become known by the name of our “Husband/Christ”. Right off the bat, the words “third day” should stand out to you. What wonderful symbolism we find here. The author makes a point of drawing our attention to the fact that this “marriage” took place on the Third Day. And the reason is simple, this isn’t about a literal marriage people, it is the Marriage Supper, the great feast that God has prepared for us all. And in that day we all are changed! Now the fact that the “Mother” of Jesus was there is very important. Because if Jesus is an allegory for what is birthed within us all, if Jesus be an allegory for all of us in a higher understanding, than the Mother would have to be “who gave birth to this new creation”… Which means, if Jesus is the new creation birthed within us, “Christ In You the hope of Glory”, then the Mother of Jesus would have to be US as well. And in fact, the Mother of Jesus is an allegory for you and I. For we are the ones who give birth to the Truth of God. Notice once again, to be the MOTHER of Jesus, you must first DO THE WILL OF GOD. So we should now see that this marriage has more to do with you and I than it does some people two thousand years ago in Cana. But if we think about who is telling Jesus this, we understand it is US. We are the ones that give birth to Jesus (The Word revealed in Us). The question is why is the Mother (us) so concerned with WINE… Well once again, we must find out what WINE represents. When you drink WINE, it can lift your spirits or it can depress you. It depends on the type of wine you are drinking, and the frame of mind you are in. But either way, WINE changes the way you PERCIEVE things. At a WEDDING those drink wine to CELEBRATE the union taking place. So I believe this WINE represents a greater understanding, a better “Spirit” if you will. The MOTHER notices they were out of WINE. And the WINE they had we find out was far worse than the wine that Jesus created for them. Like the Mother of Jesus we too see a lack of WINE (new Understanding) in the land. Yet, our desire for people to have this new understanding is not good enough. It isn’t until the “Servants” do exactly what they are instructed to do (the will of the Father) will there be NEW WINE (new understanding). Now this is where the story really comes to life. Few people talk about thee symbolism of what happens next. These water pots were used in RITUAL WASHING. And there were SIX of them. And they were empty. A firkin by the way is not an exact measurement, but let’s just say these were big water pots. Now why is this symbolic? Well, what does Jesus tell them to do? For there to be WINE (NEW UNDERSTANDING) – first the VESSELS must be filled with WATER. And Water is symbolic of the WORD of GOD. It is WATER that we are meant to be baptized in. We are meant to be submerged in the WORD of God. Before anyone can have a NEW UNDERSTANDING, first they must be filled with the TRUTH, so then they can understand what they are filled with. And then it can be shared with others. the Six Water Pots, are a symbol of MANKIND. First we are empty, we have no understanding of the TRUTH. Then it is poured into us, by the “servants” and when we are filled to the Brim, it is then that the WATER (truth) is changed into WINE (Spirit/New Understanding)… We begin to see things differently, and we realize that what we once considered the TRUTH was inferior to this New Wine. Our First Wine is like our first nature, it is weak. But the LAST SHALL BE FIRST! The last WINE we receive is better than what we once drank. The story of the Marriage of Cana, is truly our story. Whether we are those at the feast finally receiving the New Wine, the servants pouring the Wine, the Mother telling the servants what to do, or Jesus leading the servants, it is all out story. This marriage is predetermined, this is why we cannot fail. The Two (Christ and You) will become one, and then there will only be one, CHRIST revealed in you, as you. You will have the mind of Christ, the name of Christ, and you will know you have always been the Body of Christ. And when this wedding takes place, there will be plenty of New Wine to go around for every one of your guests. And thank God for that! my day!!! I always enjoy all your essays! Jacob your a wonderful blessing to us all! God bless you and yours. Angie, what a way to start my day seeing your wonderful comment 🙂 Thank you so much! Thank you for another insightful essay Jacob 🙂 Always looking forward to your messages. The funny thing is that it all makes so much sense. Once you start seeing these things it makes you wonder how you missed it all this time.. I can only say. Wonderful. But Heas you is, isn’t he. 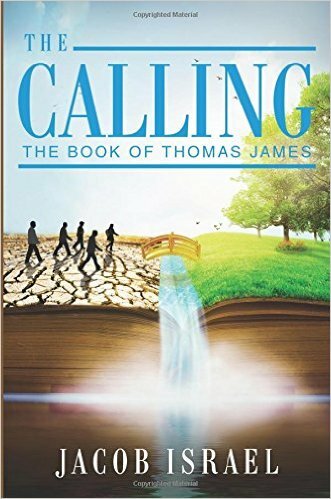 Thank you Jacob, it is a real gift you have of making these parables so understandable. Once again it’s been enlightening. I haven’t fully digested your essay yet, but it’s very good. There are still many pieces of the puzzle missing at the wedding, but you hold in your posession most of them. There’s a big, big piece/link missing and I believe I have it. Once I reveal it, it will connect all the other pieces, all the way back to Adam and Eve. The trick to the allegories is to identify every single piece of the puzzle, so that they all can fit in place gracefully. Please note that I’m not taking anything away from your revelation. But you do want us to comment. I forgot the most important part, I love your revelation. I tell you, that Billy Graham didn’t see that coming, even if it hit him in the face. God bless. The bible would be just another story, without the allegories. We would be just matter, without the depth of the spirit. Hi Jacob, we are in that 3rd day, it is now. We are not waiting for another event. Also remember when Jesus was at the well and told the woman you have had 5 husbands, and the one you are with NOW is not your husband. IN the NOW she was standing next to Jesus, He was the one she had not moved into the marrige with. He was the one to fulfill all of the 5’s in her and our lives. 5 senses…5 fold ministry. also the Samaritan poeple worshipped 5 gods. She (in spirit) represented the Samaritans…so they literally were married to the 5 and the UNKOWN God standing next to her she was not married to. Just food for thought. Jacob the best wine was when Jesus Christ up the wine at the last supper the true wine from heaven the wine that of His life bring life to His Spirit in us the Christ nature is truly coming alive and growing each new day. Daniel, always love what you share man!